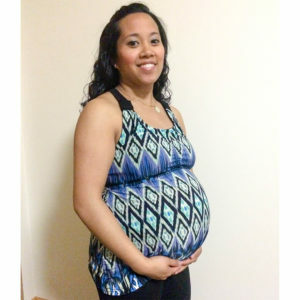 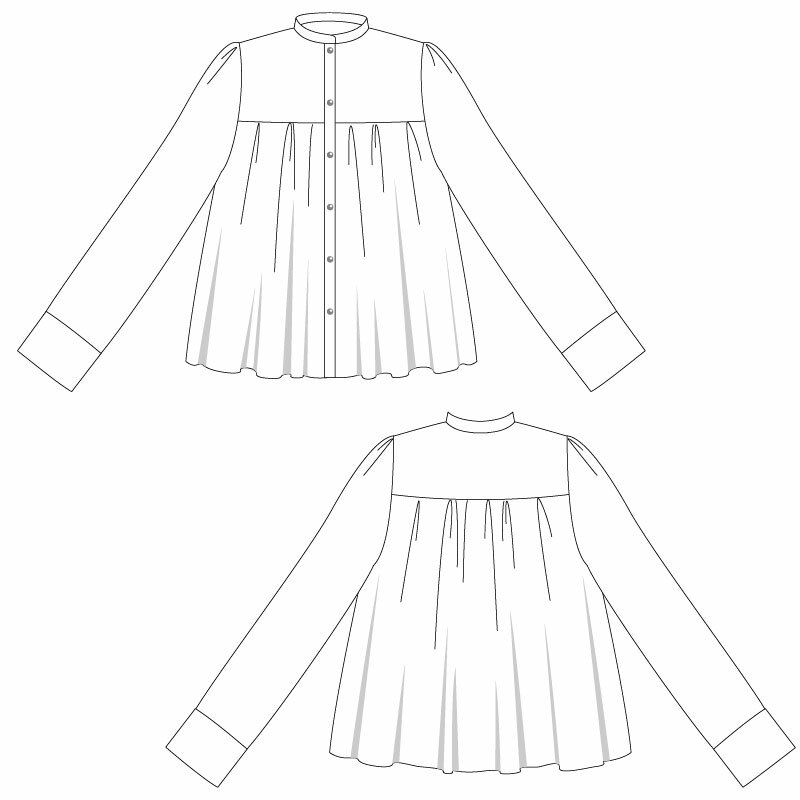 Lovely long sleeve blouse featuring maternity friendly gathered bodice. 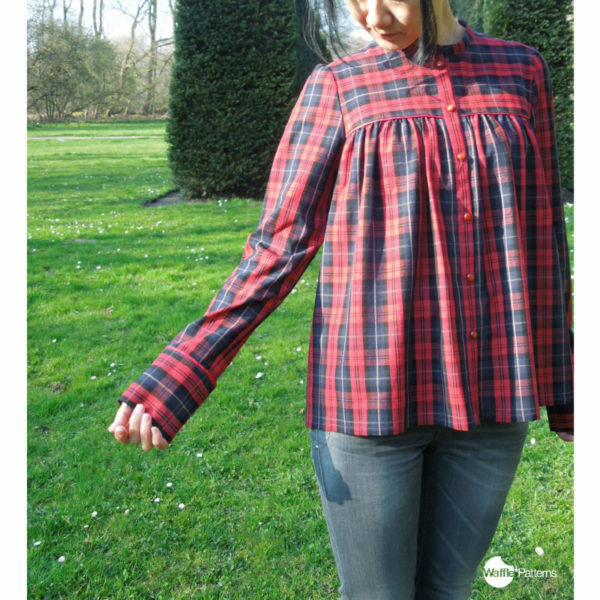 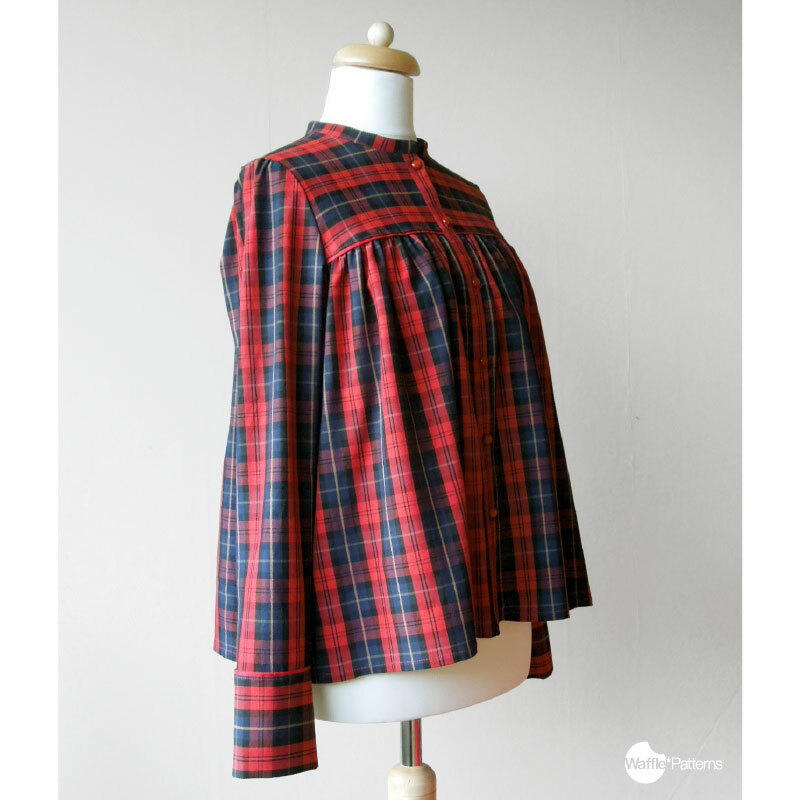 The Pancake Gathered Blouse is a long sleeve blouse with yoke, gathered bodice and cuffs without opening. Narrow shoulder width and stand collar for neat image. 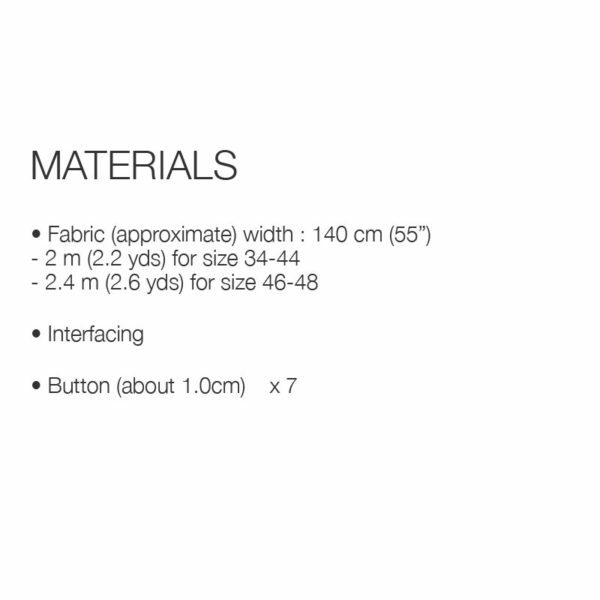 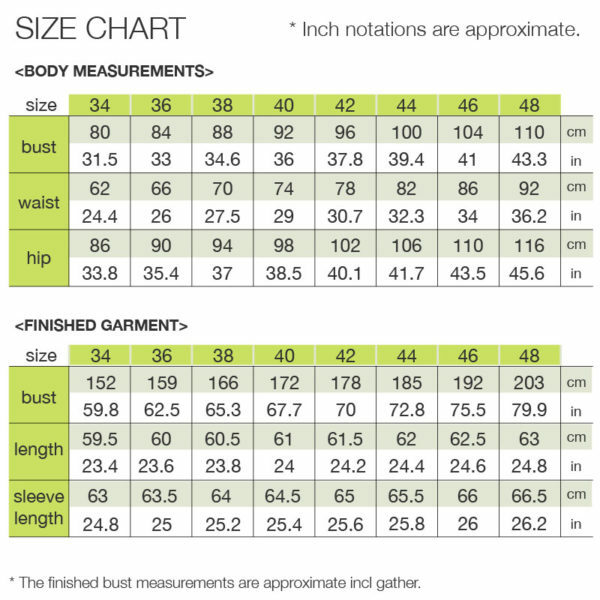 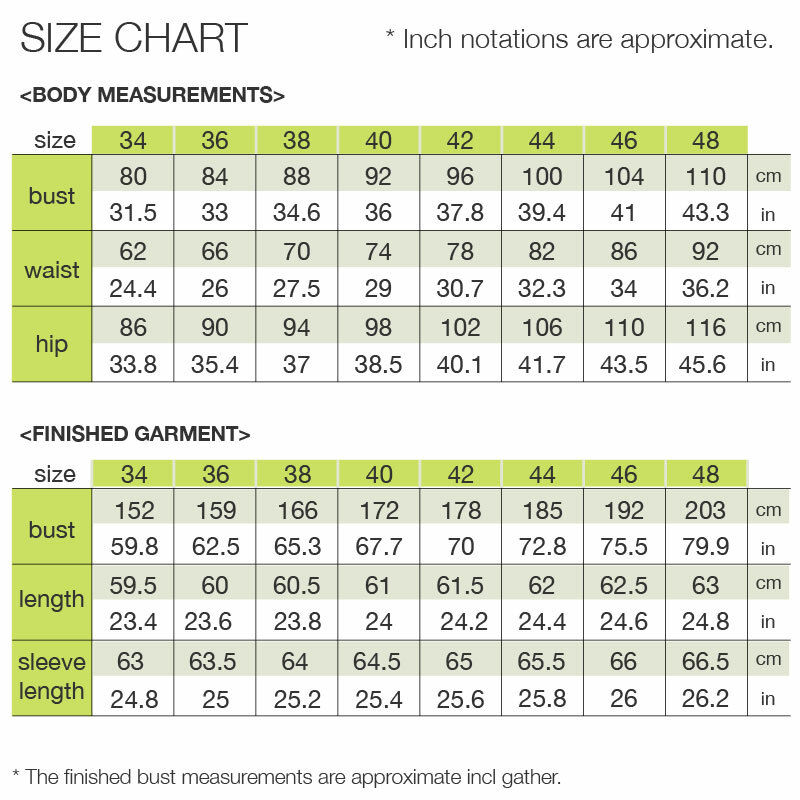 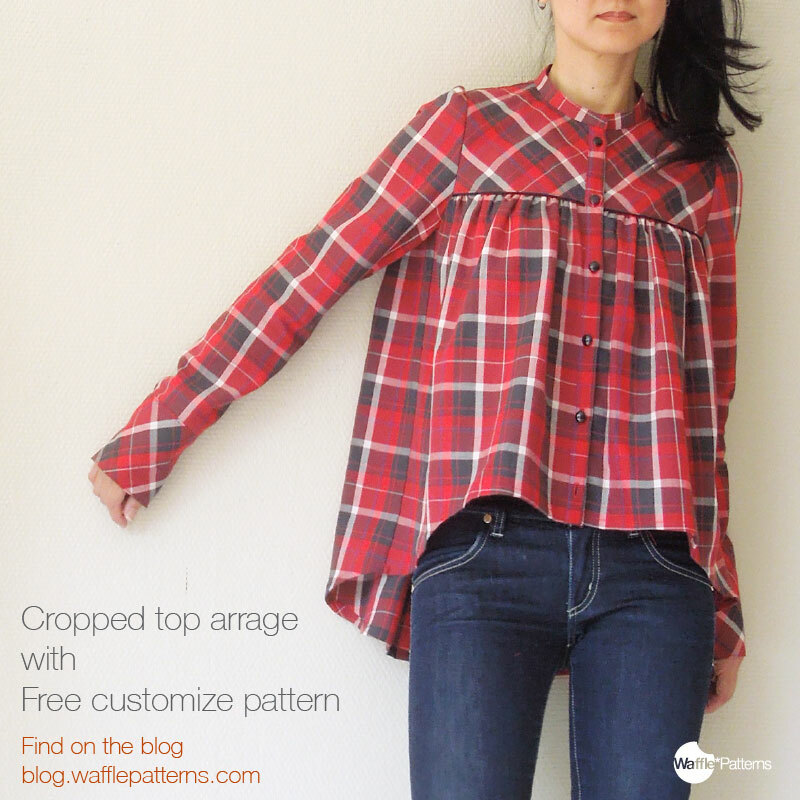 Free customized cropped hem modification available on the designer’s blog. 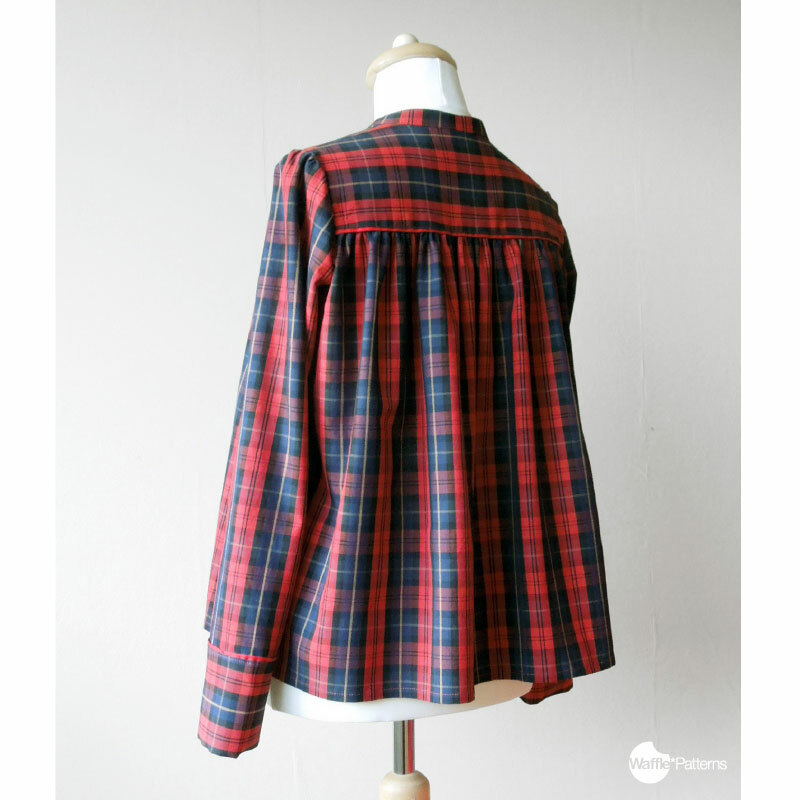 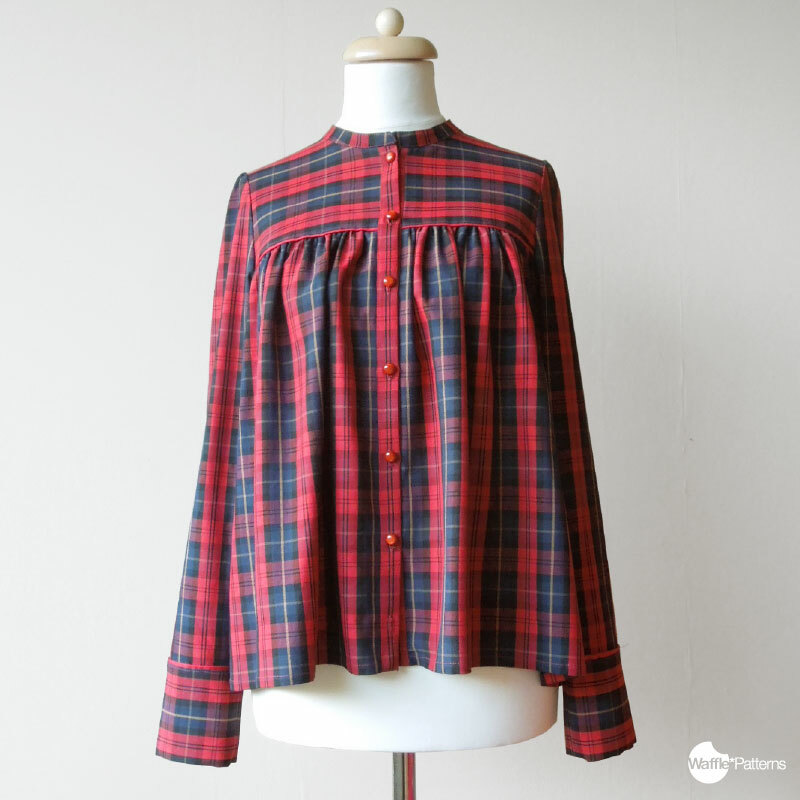 Lightweight, softly draping blouse fabric like cotton lawn, poplin, double gauze, crepe, chiffon etc.